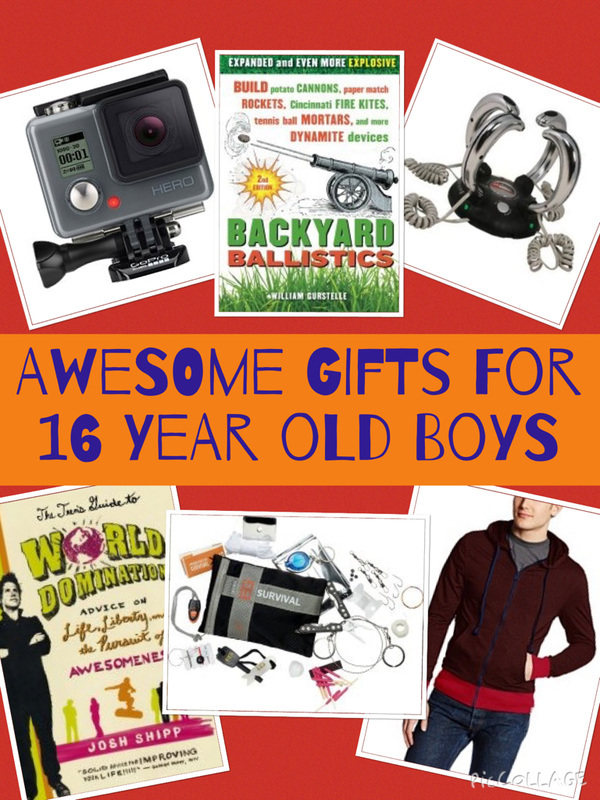 So, you're looking for the perfect gift for a teenage driver. 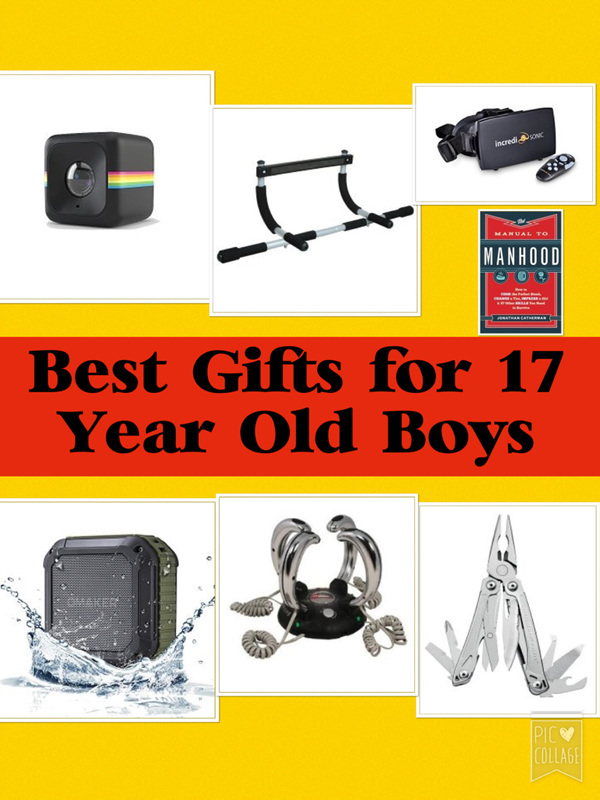 Find some gift ideas for new teen drivers and teens who's car is their pride and joy. 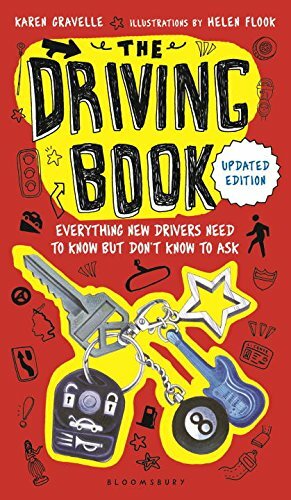 From gifts to help your teen travel more safely to those that personalise their car and make it comfortable. The kit also you to take handsfree calls while you're driving. This is such a cool car charger. It will charge two devices such as an ipad and a smartphone at the same time and it charges them 2 times as quickly as a standard car charger. It also will help you find where you've parked you car if you forget. Just open the Nondu app on your phone and it will direct you to where your car is located. Futhermore that is a light on the charger so you can easily find where to plug your device in when it's dark. Brilliant! If your teen has a smartphone they should be able to get gps navigation on their phone. But if they haven't a gps navigation system makes a great gift. There are also some advantages of having a stand alone gps navigation instead of using your phone. For example, you don't have to worry that your phone's battery may run out on a drive home after you've used it all day (which would be okay if you remember the phone car charger but not so good if you don't). A gps device will feature offline navigation. Additionally, a dedicated car gps generally has a larger screen than a phone and a slit screen so it's easy to read and follow the directions. The speakers on a gps navigation also tend to be louder to compensate for engine and other noise inside the car. You phone is also free to play music and take hands free calls on should you wish too. The Garmin drive 50 Navigator System is a good choice. It has spoken turn by turn directions and speed limit displays. It can be really hard to drive when the sun is glaring in your eyes especailly for new drivers. A good pair of sunglassess will eliminate this problem. You can get anti glare sunglasses specifically designed for drivers and many of them look cool too. The sunglasses featured have 100% UV400 protection lens and blocks 100% harmful UVA, UVB & UVC rays. They are also designed to eliminate glare and reduce eye fatigue. The lenses are also scratch resistant, lightweight and durable. As well as for driving, they are also fantastic for outdoor sports and activities including skiing and hiking. There is always a danger that a teen boy's car can get as messy as their bedroom. To avoid this, get him a car organizer to tidy up all his stuff. 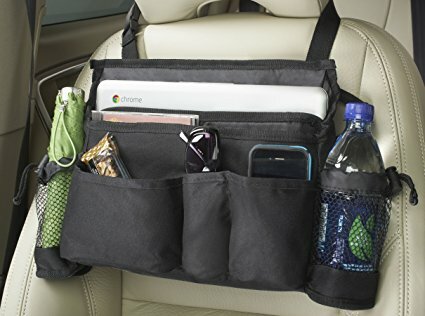 You can get organizers with dedicated pockets for valuable such as ipads or cellphones too. Car seat covers will keep the interior of his car in pristine condition and can be washed if friends or other family members make a mess by eating or drinking. Or consider heated car seat covers like the ones featured above. ​Steering wheel covers are great for hands in cold weather. Driving gloves are another way of keeping hands warm too. An emergency road kit is another gift idea that will give peace of mind to a teenager's parents. The AAA 66 Piece Emergency Road Assistance Kit is a great kit to keep in the car and contains essentials such as a flashlight, jump leads, a hand charged LED flash light, a reflective safety vest and 34 piece first aid kit. If they have a cell phone that they are a likely to use for gps or to play music etc, a cell phone holder is a must. A mounted phone holder means that there is always a safe place to put your phone, so if won't fall off the passenger chair onto the floor. Many places offer gift certificates for services such as oil changes and valeting a car. It's worth looking around to see if you can buy a gift card. Or why not make your own gift certificate and give them the money when they require it. Let's face it, teenage boys aren't generally the tidiest of creatures although there are a few exceptions to the rule. Help him to keep his car free from trash, nice and clean by giving him a car trash can for his vehicle. The one above features an easy to access flip top lid which conceals trash and keeps it out of sight. The generous two gallon leak proof liner is removable and washable for easy cleaning. There's also two stretchy mesh side pockets perfect for storing small items like hand sanitizer or wipes. It hangs securely from any car seat headrest and most center consoles. This set is has a variety of premium quality products and accessories needed to keep your car clean inside and out. 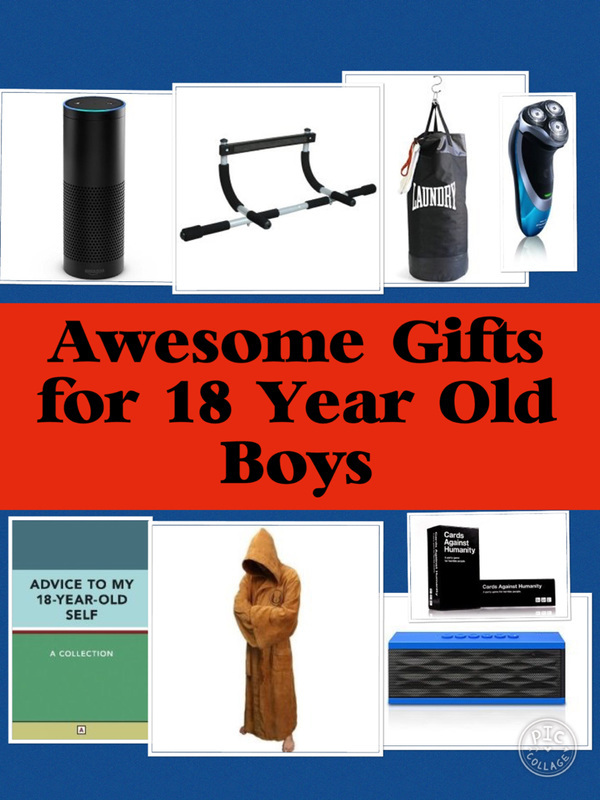 If the teen boy (or girl) you know loves taking the time to clean and look after their car, this could be the perfect gift. This really is a fab tool to have in a glove compartment to give peace of mind that you have options if any emergency ever occurs. The 7 in 1 tool includes the following functions flashlight, hammer (break a window if you ever need to get out in an emergency), seat belt cutter, USB charging port, sos light, magnet and hand cranking charging. Teenagers use their phones constantly so it's really useful for them to have a car charger so they can top up their devices in the car. The Anker car charger featured has two ports and an LED light for after dark. Another useful, inexpensive device that can give parents peace of mind that their teen can always contact them. A fun gift for a teen who has just got their license is a pair of fun socks. They're will definitely be used so it won't be a gag gift that goes in the trash after 5 minutes. A car gap organizer perfectly fills the gap between the seat and the center console. It is a great way to keep "stuff" and mess under control in a car. The organizer featured has a coin slot, so stray coins can go in there and you'll never be short of coins when you need them. It also features 2 USB charger so you can charge a phone or device. It also makes a great place to store keys, cards or any stray items you may have. This super cleaner is an awesome all round cleaner to keep in the car. It's a one product cleaner that will work on all kinds of materials including upholstery , fabric , canvas , leather , vinyl , plastic and rubber. The only thing to note is that it doesn't work on glass or delicate instrument panel screens. This is a great shirt for a teen who is a a stick-shift driver. The t shirt is made from 100% USA-grown cotton and comes in different sizes. Driving gloves are an essential for those winter mornings when. The gloves featured are also screen compatible so you can use your device while wearing them too. The elastic wrist cuff makes it easy to take them on and off. They are comfortable and could be used for other activities as well as driving.